Ben is an associate with Goldenberg Nahmias LLP whose practice focuses on corporate-commercial and intellectual property matters related to the music, film, and television industries. A passion for working with creative people has led Ben to working in entertainment law. His practice concentrates on the film, television and music industries. Ben also advises on related corporate, development, financing, production and licensing matters. 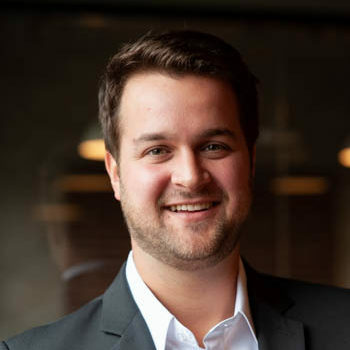 Ben obtained his law degree from the University of Windsor and currently serves as an advisor and panelist on the Windsor Law Sports and Entertainment Law Society. Prior to joining Goldenberg Nahmias LLP, Ben worked in-house at a prominent international media company. He completed his articles with a boutique entertainment law firm based in Toronto and was called to the Bar of Ontario in 2017. Ben has a passion for the arts outside of the office as well. He served as Co-Chair and founding partner of Project Art – a charity organization that raised funds for Sunnybrook Hospital through art sales. When Ben is not advising clients, he is either watching a Toronto Maple Leafs game or spending time with his (soon-to-be) wife Jordyn and their dog, Lennie. © 2019 Goldenberg Nahmias LLP. All rights reserved.